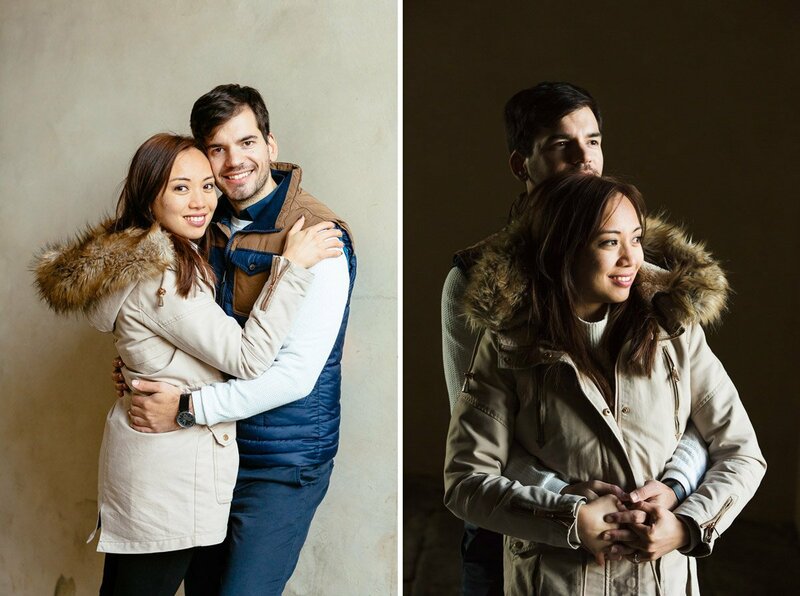 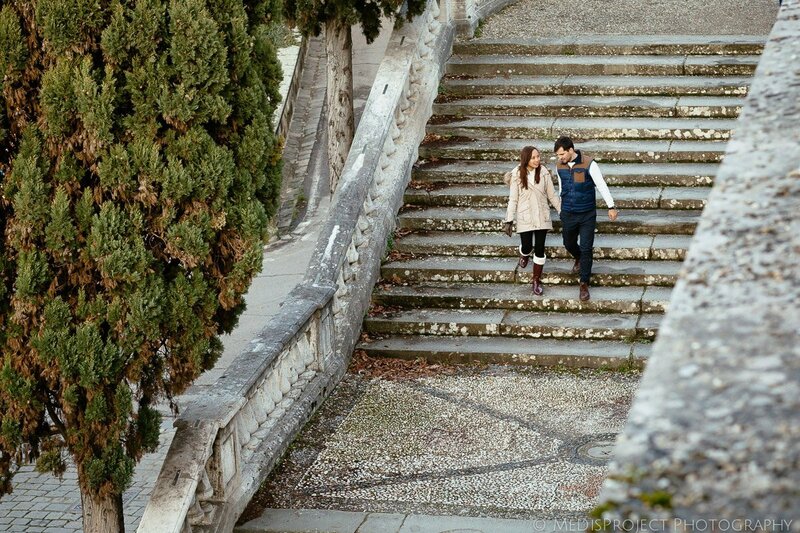 Sergio took Consuelo to Italy to have a romantic holiday together in Venice. 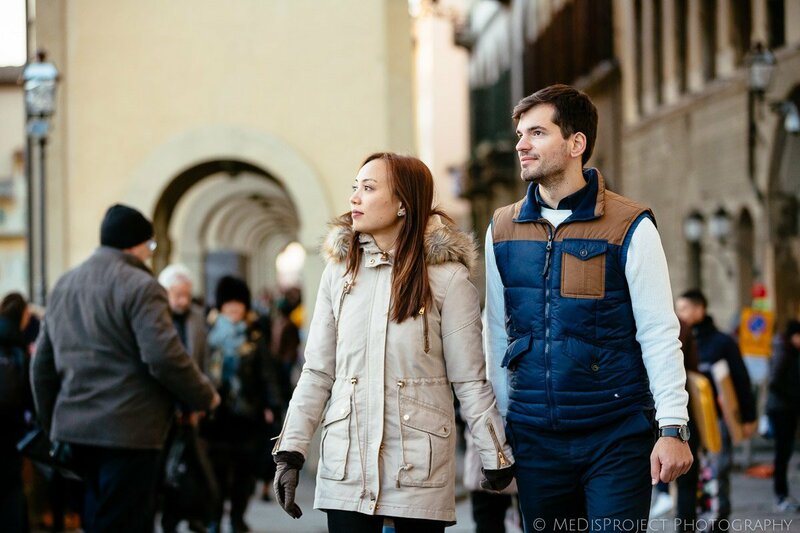 After spending the New Year’s Eve in that charming floating city, she thought they were already heading back home. 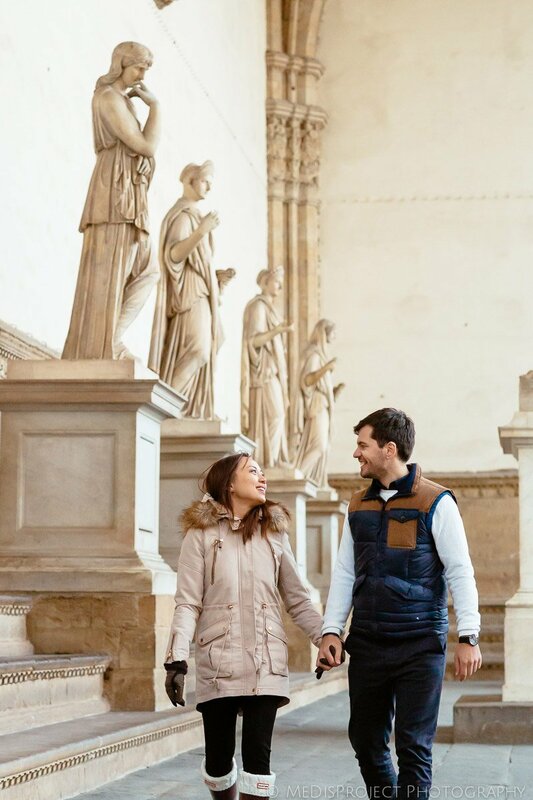 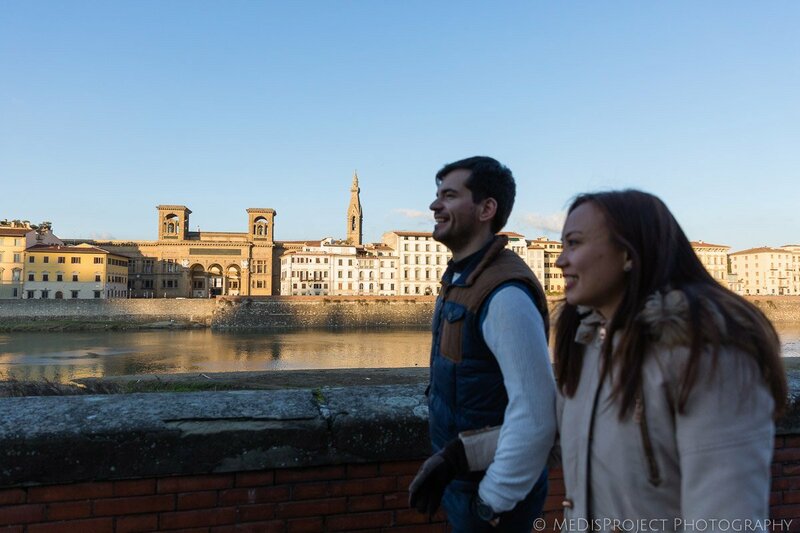 Here’s when Sergio showed her an unexpected train ticket to Florence, where a new adventure and a big surprise were waiting for her. 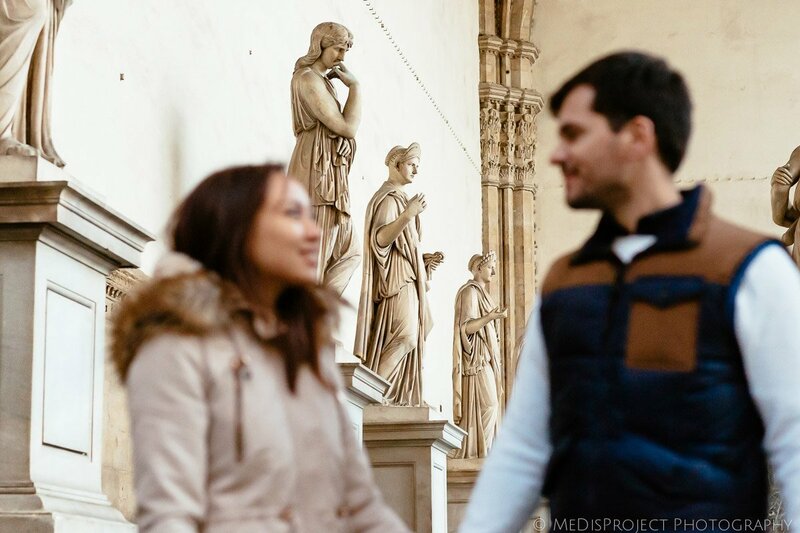 Sergio had never been in this city before, so we had to plan very accurately the details with him, using maps and indication to be sure he would find the right place at the right time. 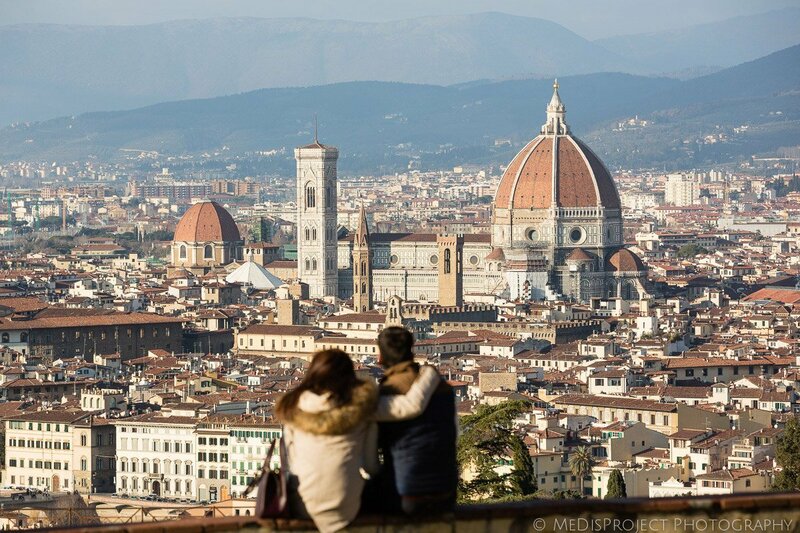 At 2 pm, as we organized, they were climbing the stairs to San Miniato Church, where we were waiting for them, hiding in the large crowd of tourists. 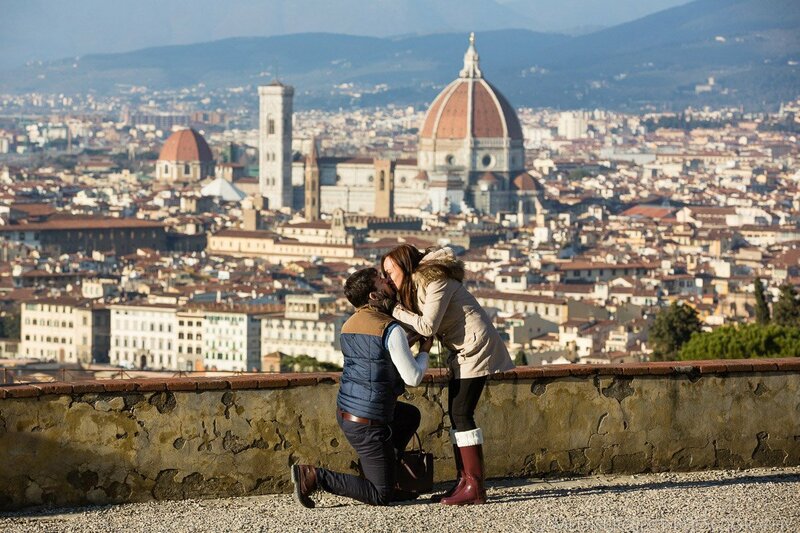 It looked like the whole world was gathering there just to enjoy the breathtaking view over the city, and because of this Sergio had to patiently wait for the moment to get down on his knee and reveal the final surprise. 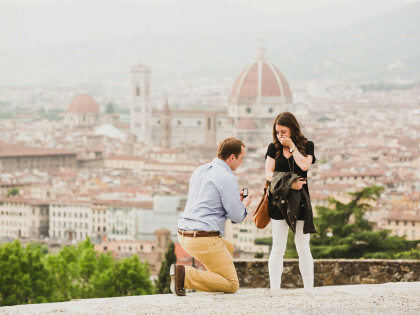 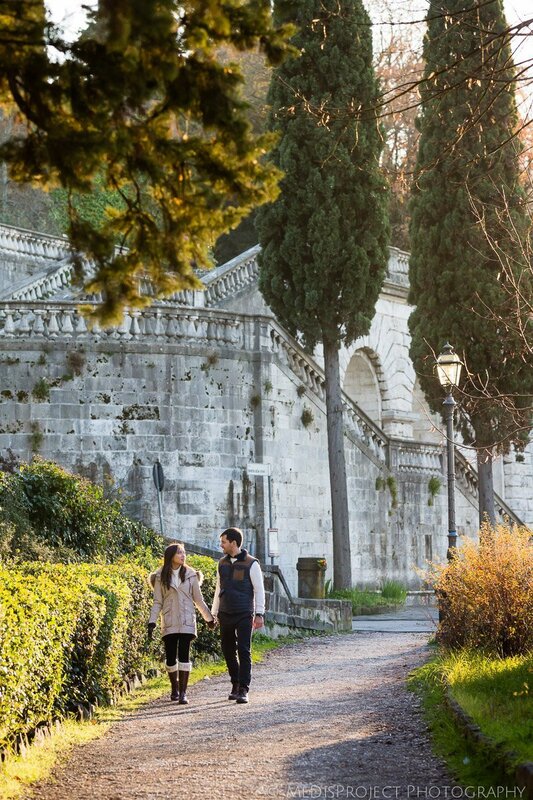 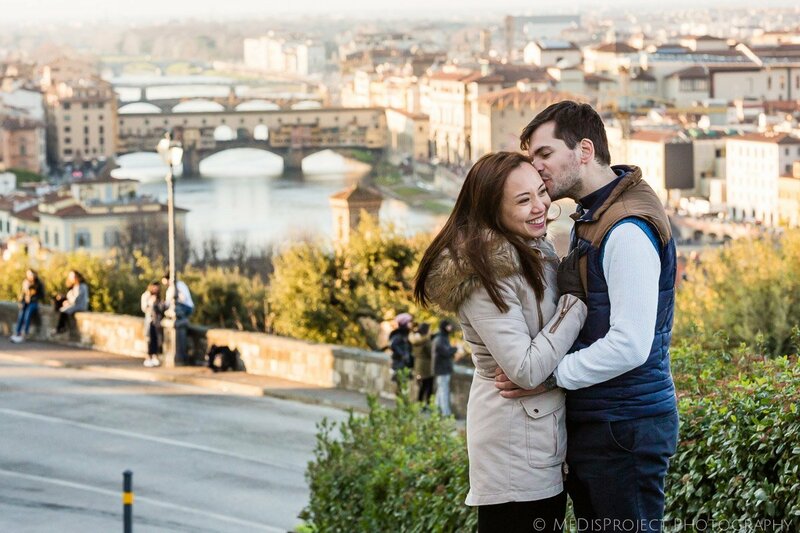 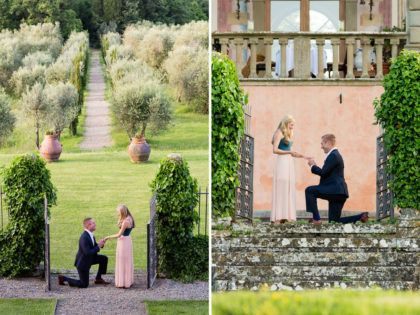 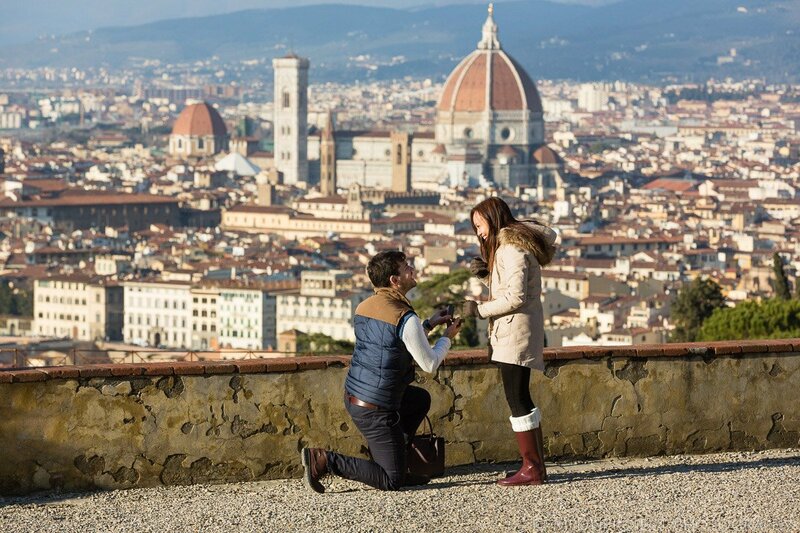 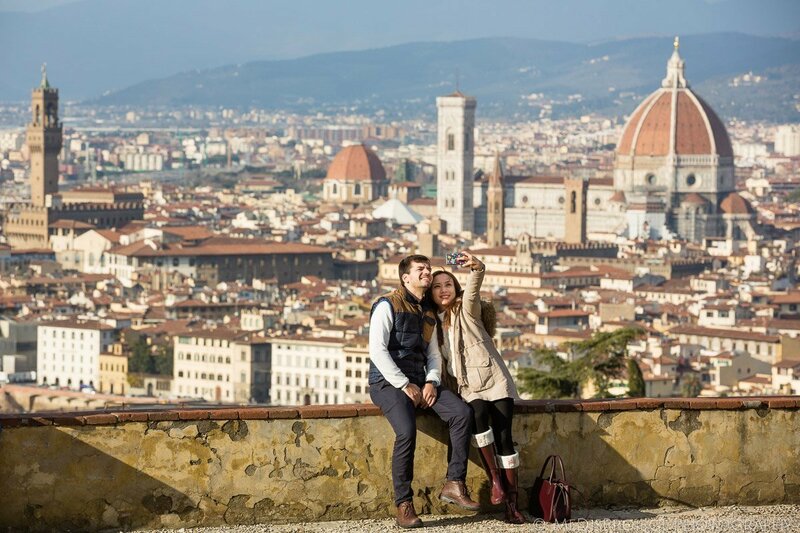 Here’s what happened next, a romantic marriage proposal in Florence.